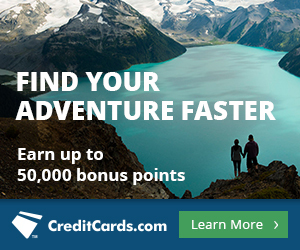 Chase has a new offer for their Freedom Unlimited card. At the price of no sign up bonus (the normal offer comes with $150 cash back), you get 3% cash back on ALL purchases for the first year you hold the card. Credit card links have been removed from posts and added to the menu bar at the top of every page of MileValue under the heading Top Credit Cards. We do get commissions when you sign up for some cards, but not through this link. We just want you to be aware of the best deals. 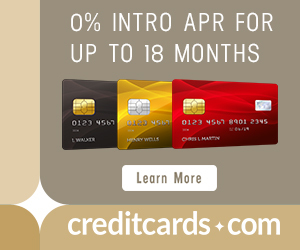 If you already have a Sapphire Reserve, Sapphire Preferred, or Ink Business Preferred card, the “cash back” you earn from the Freedom Unlimited (which is technically Ultimate Reward points only redeemable for 1 cent each) can be transferred to one of those accounts and they magically turn into the kind of Ultimate Rewards in that account–the kind that are transferrable to airline and hotel loyalty program partners for redemption as airline miles or hotel points, or through the Chase travel portal for 1.25 (Sapphire Preferred/Ink Business Preferred) or 1.5 (Sapphire Reserve) cents each. Either way, you squeeze much more than 1 cent a piece out of them transferring to a more expensive card’s account. This is also the case with the “cash back” earned by the Chase Freedom Card and the Ink Business Cash Card (which has a stellar $500/50,000 Ultimate Rewards bonus at the moment!) Move those points to a Sapphire Preferred, Sapphire Reserve, or Ink Business Preferred account and they too turn into the kind of Ultimate Reward stored in that account, appreciating in value. You would have to spend at least $10,000 on this card in the first year to make up for the lack of bonus, but if you can easily do that, then this new offer is better for you. Also note that if you’ve opened five or more credit cards from any bank in the last 24 months (not counting most business cards), it is highly unlikely you will be approved for this card. If you are not cut off by the Chase 5/24 rule, and have tons of otherwise non-bonused spend to put somewhere, then this is a pretty stellar opportunity to earn 3 Ultimate Rewards per dollar on an unlimited amount of spending. I value Ultimate Rewards (the kind transferrable to airlines and hotel loyalty programs) at 2 cents each, so that’s roughly a 6% return. Next articleIs Chase ending our ability to combine points?